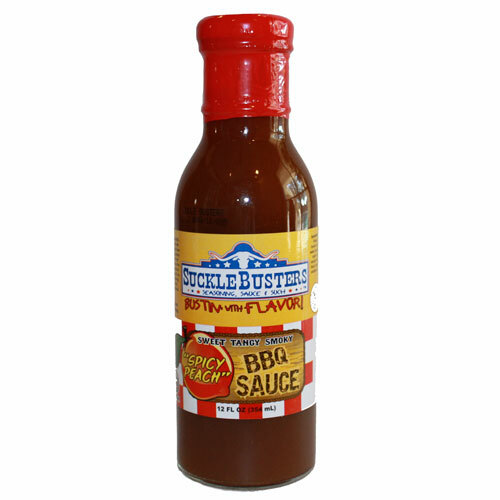 I've been a big fan of SuckleBusters' products since I sampled their first sauce more than a year ago. I've reviewed 7 SuckleBusters' products thus far. 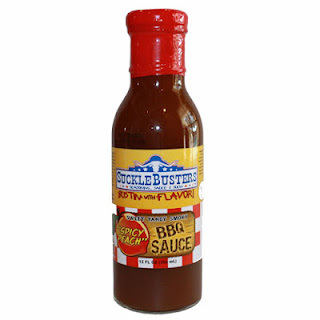 Each product (BBQ Sauce, Dry Rub and Hot Sauce) has received a four star rating or better. That ought to give you an idea of just how much I've enjoyed this Texas made line. While I blew through most of the SuckleBusters' line last fall, I was careful to save one sauce for a rainy day. 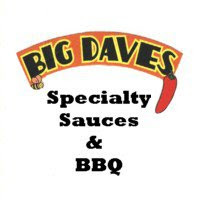 I knew there would come a time when I craved one of their sweet, tangy sauces so I held a bottle of their Spicy Peach BBQ Sauce in reserve. Shortly after moving to Michigan, I decided it was time to break the seal on Spicy Peach. Like all the SuckleBusters' sauces, Spicy Peach is a thin, vinegar based sauce. It's packaged in 12 oz. glass bottles. The sauce is burnt orange / brown in the bottle and pours very quickly. Sticking with their motto "No Bad Stuff," Spicy Peach is a relatively simply blend of all natural ingredients. The vinegar base is sweetened and thickened with brown and white sugar as well as real peaches. The sweetness is balanced with natural hickory smoked and finely ground spices. Straight from the bottle, Spicy Peach is both sweet and tangy. The fruity sweetness is like a peach syrup while the vinegar packs a strong finishing punch. Despite being called "Spicy Peach," there really isn't even a small degree of heat. In fact, I was able to serve the sauce to my one year old for dipping her chicken. After being heated, the vinegar is subdued. The sugars get much more deep and rich. I used Spicy Peach as a glaze for babyback ribs and as a dip for smoked pulled chicken. As a glaze, the sauce was very good. The peach sweetness complimented the smoked pork well. It also leaves a beautiful glossy shine on the bones without darkening the meat's color too much. I thought Spicy peach was equally good poured over the pulled chicken. I recommend warming the sauce before serving. The heat allows the flavors to melt together for a more harmonious profile. Spicy Peach joins the list of SuckleBusters' sauces that I highly recommend. It's equally good with pork or chicken and can be used as a glaze or dip. It will be a hit with anyone that loves sweet sauces. Check out SuckleBusters' website if you haven't already. You can't go wrong with any of their products. You can also see my reviews of other SuckleBusters' products on my "Product Reviews" page. 0 Response to "SuckleBusters Spicy Peach"